Are you looking for a work table that can stand a rough ride? You have come to the right place at Merito. 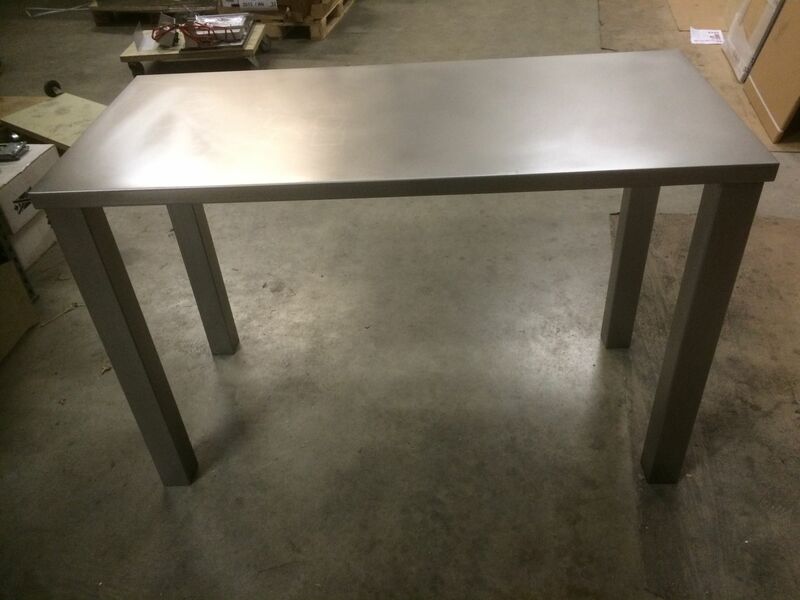 We manufacture stainless steel work tables for many different industries. Our work tables can be fully adapted to your requirements and wishes. 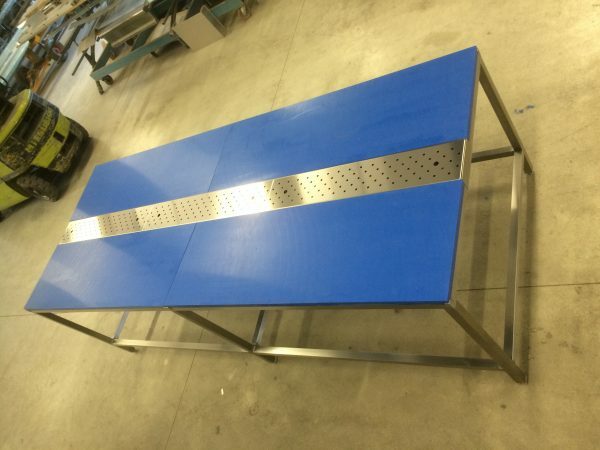 Do you want a work table on wheels? One with a water barrier on the top or storage cabinets on the underside? Then we can, of course, arrange that for you. 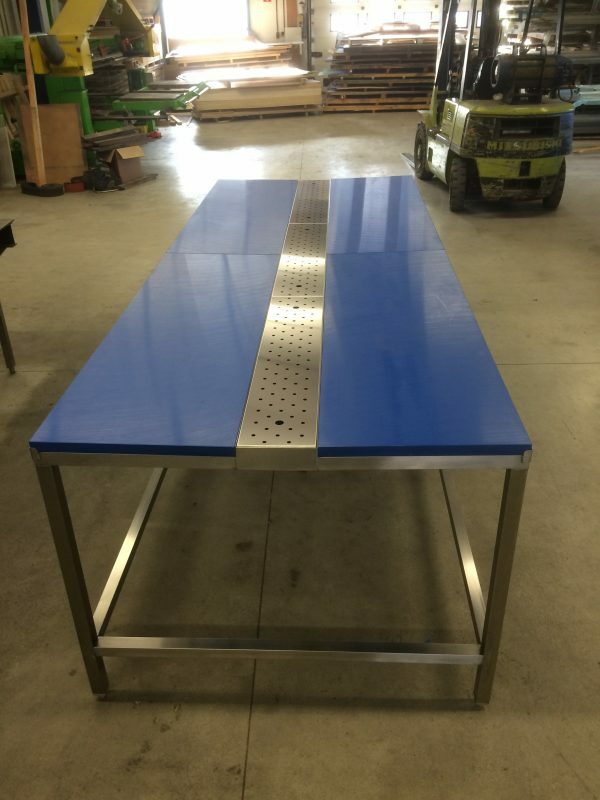 The first step is to determine what your ideal stainless steel work table looks like. Do you have a clear image in mind? Then we will work with 100% stainless steel of the highest quality (Stainless Steel 304). 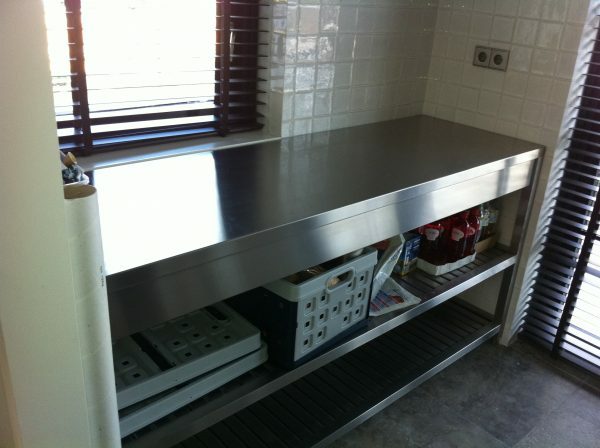 If necessary, your stainless steel work table can even be supplied in an acid-resistant quality (Stainless Steel 316). Curious about our working method? Merito is a trusted name in the field of stainless steel customization. Our specialists make stainless steel products for the catering industry, industrial kitchens, shipbuilding, hospitals, kitchen, and interior design. We have the expertise required to produce the right stainless steel work tables for you or your company. Can you use some help from one of our specialists? Please contact us. We are happy to help you with sound advice.